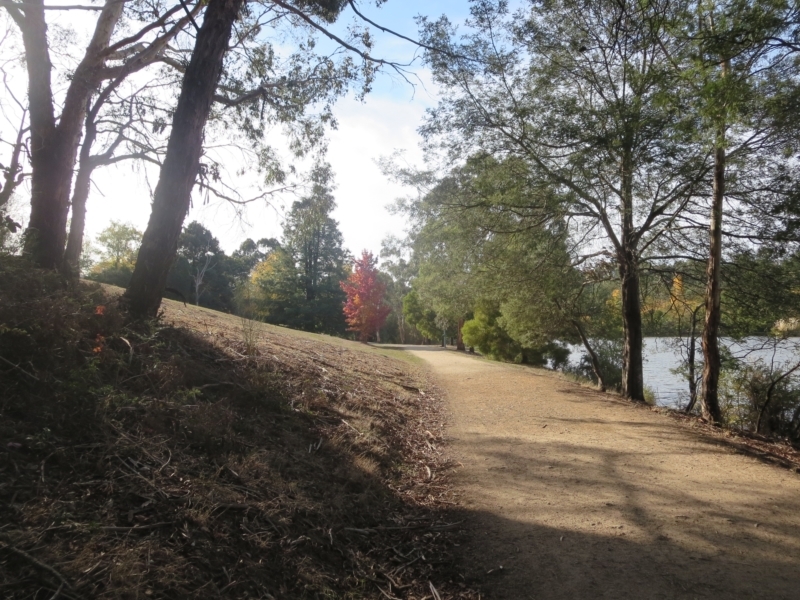 Stroll around Lake Daylesford on the Peace Mile path. You'll enjoy abundant birdlife, wonderful scenery and tranquility. 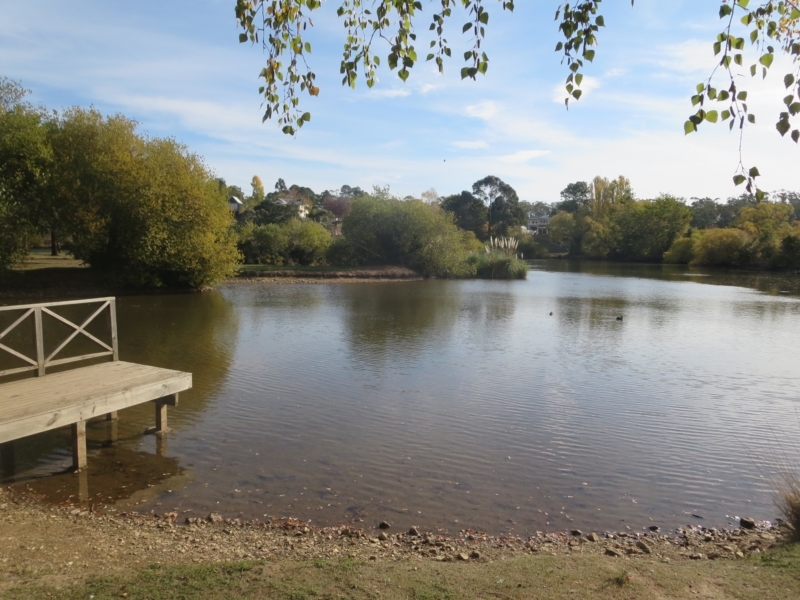 Take a walk around the perimeter of Lake Daylesford. Note the abundant bird life including swans, cormorants, ducks, moorhens in the water as well as sulphur-crested cockatoos, multi-coloured parrots and tiny wrens darting around in the bushes. Casual dining with a view! The cafe is open for brunch and lunch till 3pm. 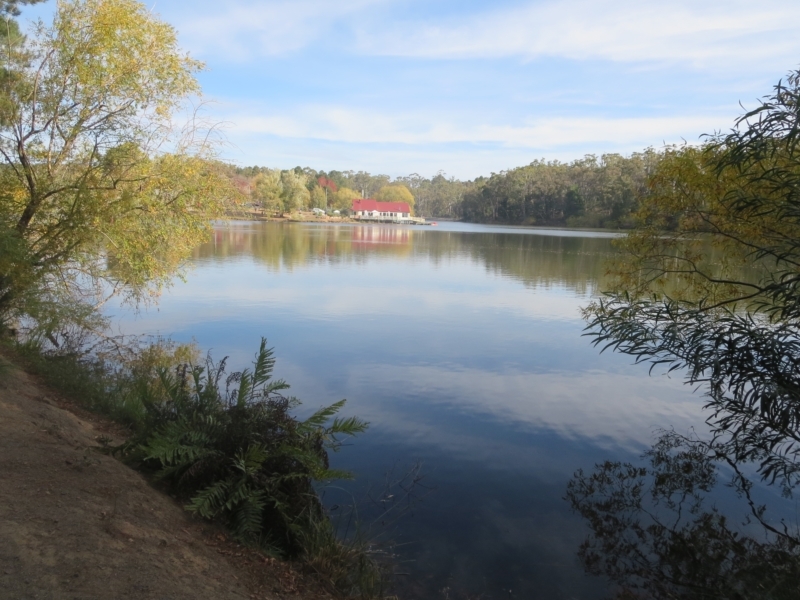 This photo is of the Boathouse Cafe viewed from the far end of the lake. 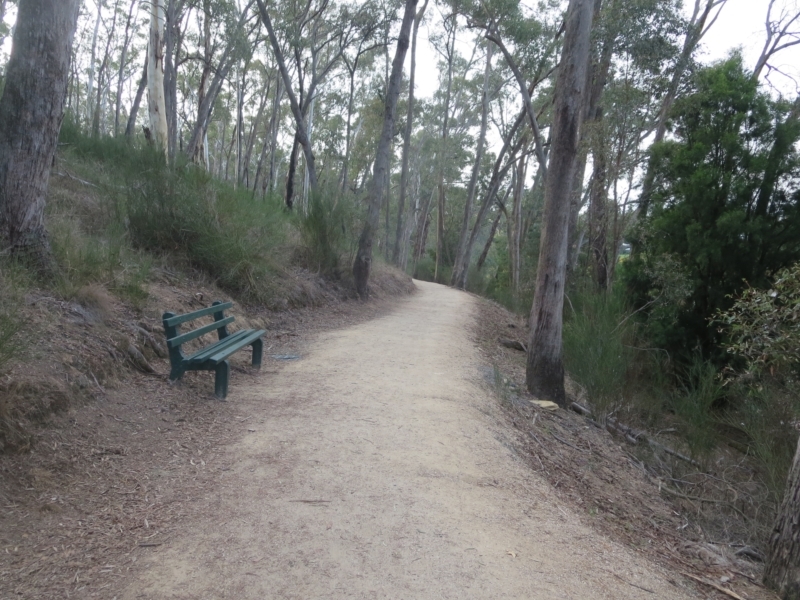 A lovely resting point to enjoy the serenity of the surroundings. 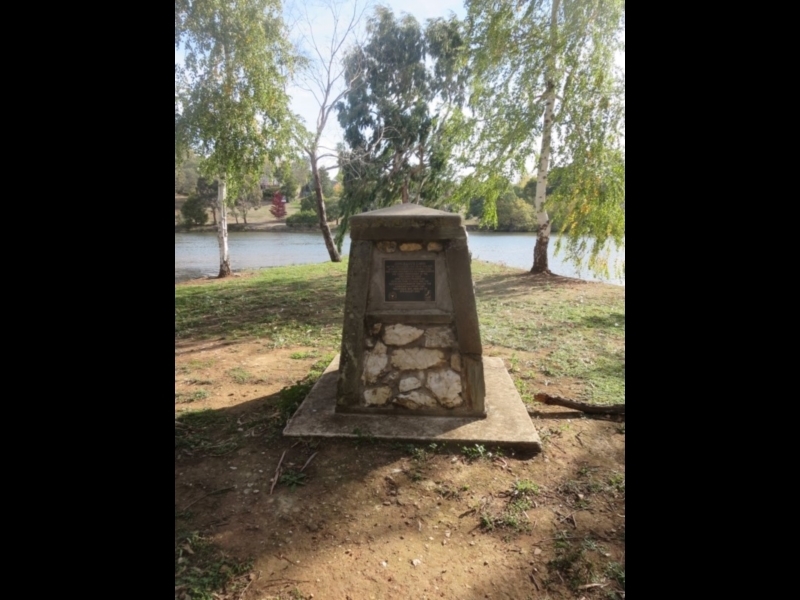 Memorial erected to commemorate the 150th anniversary of the discovery of gold on this site. 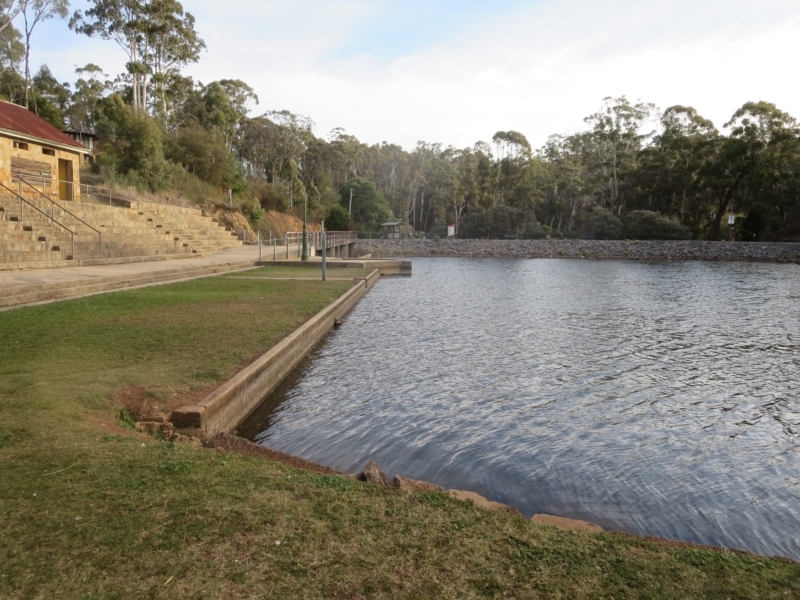 A lovely spot for a picnic, or to enjoy the mineral spring water! 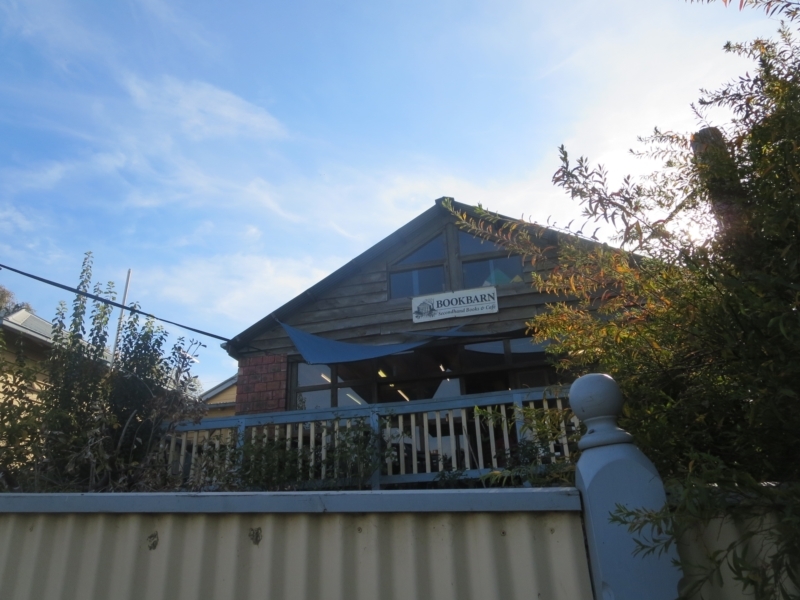 The Book Barn is a great place to stop for a coffee break and a browse of the many used books on offer. 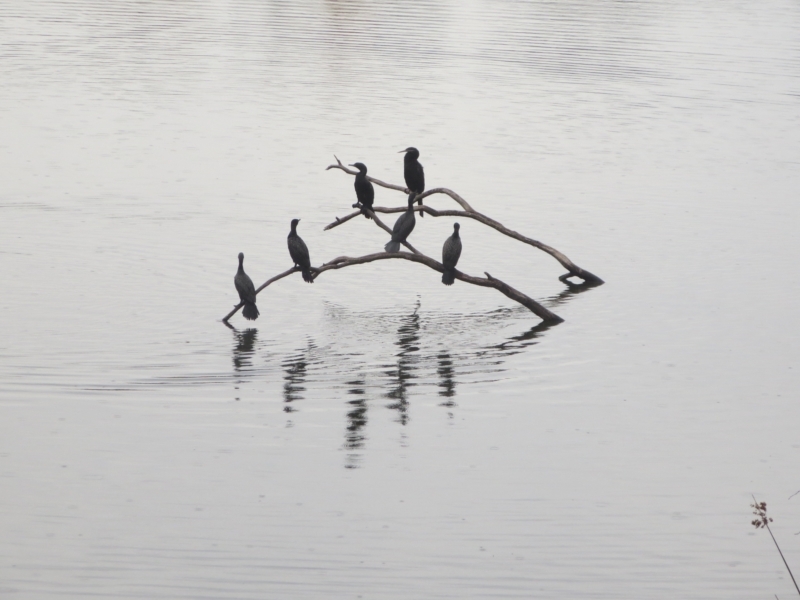 These might be Little Black Cormorants, who usually congregate in a flock. 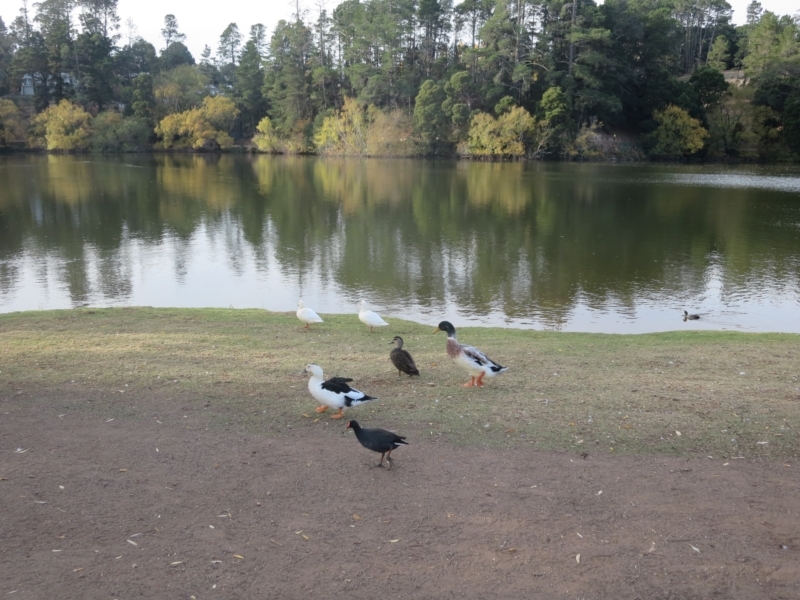 Ducks are commonly found in and around the lake. Some are quite tame as they are accustomed to people feeding them (but please don't feed them bread, try grains or seeds instead). 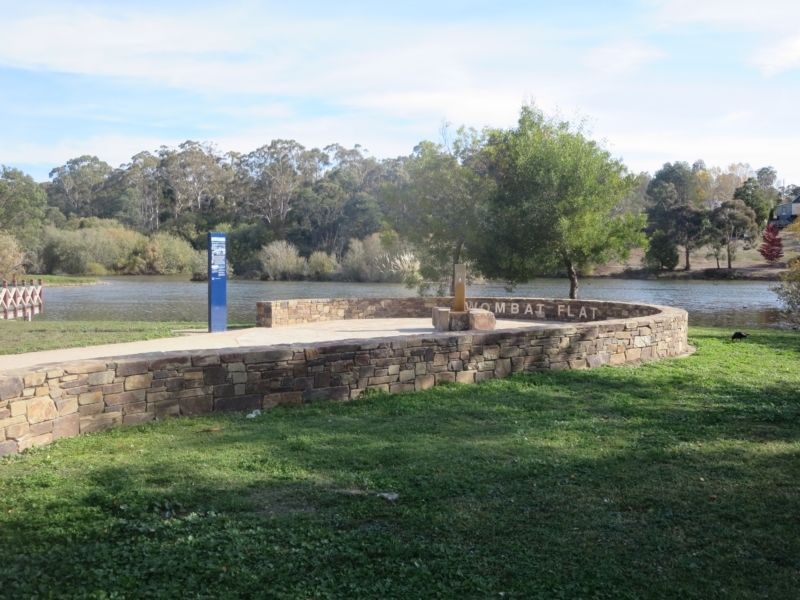 There used to be a swimming pool in this area and the historic change rooms and stone steps are remnants of this time. 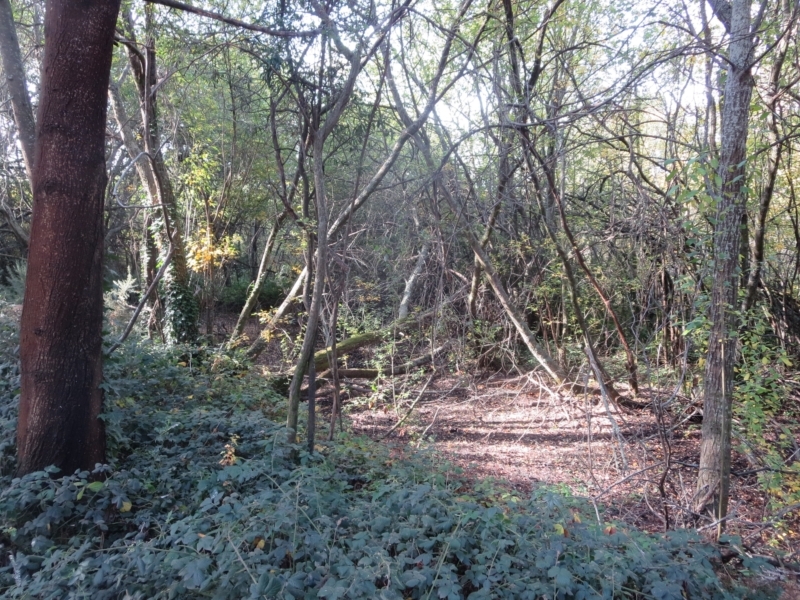 You'll hear birds chirping through this wooded area as it's full of bird life. Stop for a minute or two and you might even spot them! 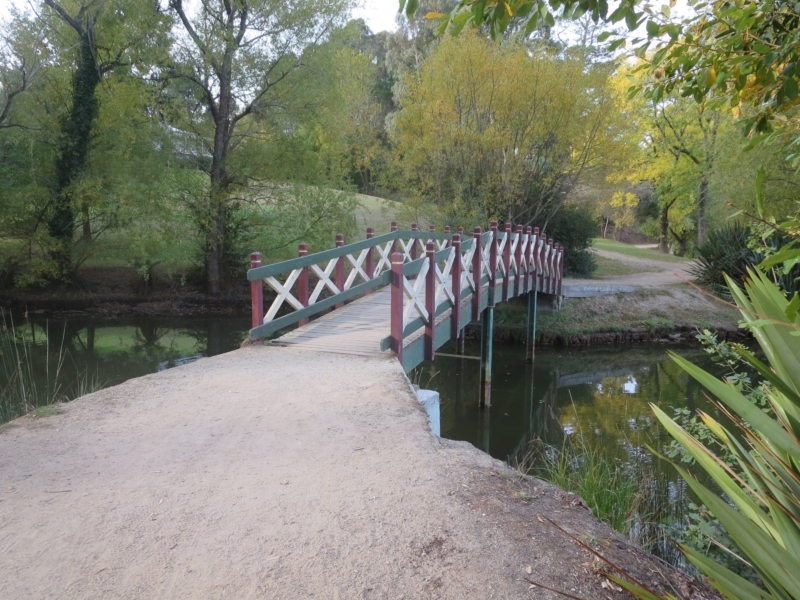 Continue your walk over this bridge to admire the wide variety of trees planted next to the lake. 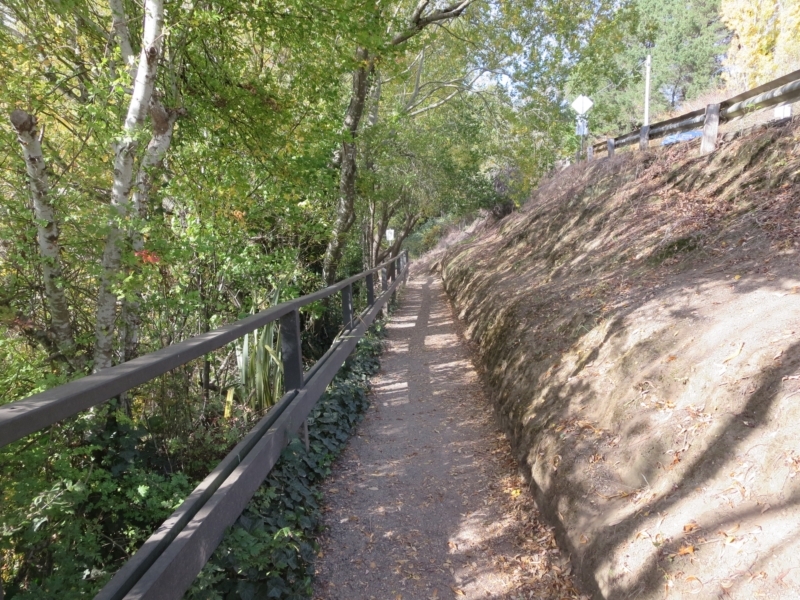 Continue your walk along this shaded path. The perfect spot to enjoy the changing colours of autumn. More examples of the shrub and bushes that you find in this local area.